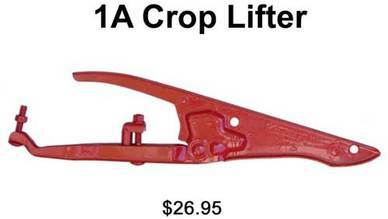 Call or email for orders outside the U.S.
All crop lifters include standard installation kits free of charge. No additional purchases necessary for most applications. 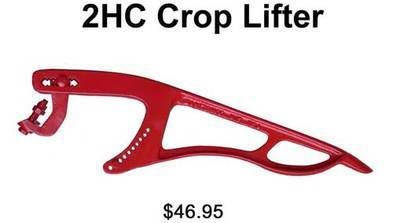 Required for use of 4B, 4H, 8A, 8B crop lifters with MacDon® headers to fit 973, D50, D60, D65, FD70, FD75, CA25, FD1, D1, FM100, Case IH® headers to fit 2152, 2052, 2142, 2162, 2062, New Holland® headers to fit 82C, 83C, 84C, 86C using standard poly skid shoes. Freight included. 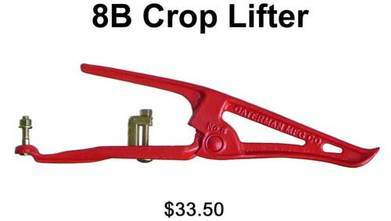 Required for use of 8B crop lifter on John Deere 600 series flex head grain platforms (620F, 622F, 622R, 625F, 625R, 630F, 630R, 635F, 635FD, 640FD). Includes a special adjustment block and all the necessary fasteners. Freight included. 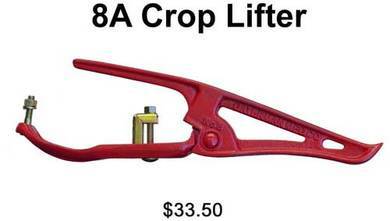 Required for use of 8B crop lifter on Schumacher SCH Easy Cut II cutter bars equipped with 132mm or 147mm sickle guards on various cutting platforms. Includes a special adjustment block and all the necessary fasteners. Freight included. 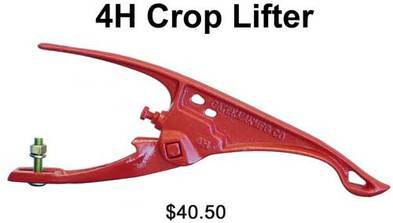 ​call us at (920) 682-6108, Monday through Friday, 8:00 am - 5:00 pm CST.